Join the Allison Insurance Team in Helping Local Non-Profits! Local non profits, religious organizations, and schools in our community need your help! That help can be your time to organize an event or contribute advice in an area of your expertise or make a monetary contribution. You could even donate items such as a bag full of canned goods or gently used clothes. There are literally thousands of ways to help. Browse this listing of local organizations, visit their pages, and see how you can get involved in strengthening West Tennessee! Alleviate Suffering. Promote Dignity. Foster Hope. Area Relief Ministries is a faith-based, non-profit organization whose mission is to strengthen our community by providing services that alleviate suffering, promote dignity and foster hope for those in need... as an expression of the ongoing ministry of Jesus Christ. 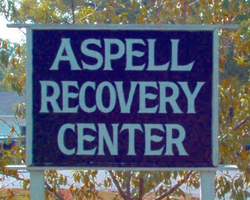 Aspell works with those with addictions. Where chemical dependency exist, each individual associated with the chemically dependent person is affected. Thus in the holistic approach to treatment, our counselors work to assist other family members in their transition to a healthy, non-enabling lifestyle. Boys & Girls Club of Jackson-Madison County, Inc. The Dream Center houses families and individuals who have experienced crisis in their lives such as: loss of employment, housing, or other life-controlling problems that rendered them homeless. While there, the residents are assisted in a variety of ways including: GED classes, job search assistance, transportation, addiction-recovery programs, financial self-sufficiency classes, and smart purchase coaching. 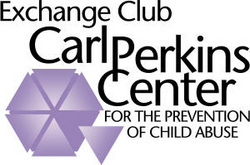 Their Mission is to provide support to families by preventing and dealing with child abuse in West Tennessee, and to help both parents and children meet the practical needs of preserving and improving the quality of family life. 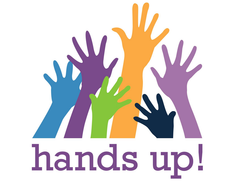 Hands Up! is a non-profit preschool designed to serve the at-risk community in Jackson Tennessee. Their goal is to educate three and four year old children in quality-learning environment, while also empowering their parents to be active in the education of their children. Imagination Library strives to encourage families to read more frequently to their children and catalyze communities to invest more time, talent and treasures into this program that better prepares children to enter kindergarten ready to succeed. The Jackson Arts Council works to “Connect and Strengthen the Arts” by increasing arts education opportunities, arts advocacy, and communication while developing financial means to support arts related missions and goals. The Jackson Center for Independent Living is a community-based, nonresidential, consumer-controlled program of services designed to enable persons with disabilities to achieve maximum independence and fully participate in all aspects of community life. JACOA stands as a point of light for those afflicted by the disease of alcohol and drug addiction in Tennessee. They provide state of the art addiction prevention, education, medicine treatment, and training, and they offer hope to the individuals and families impacted by addiction. 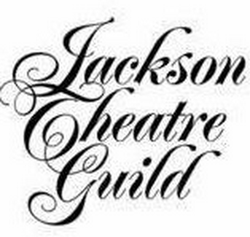 The Jackson Theater Guild exists to support, encourage, and support quality theater productions, the arts, and the educational aspect of theater in Jackson, TN and its surrounding areas. The Mission of The Jackson Symphony is to enrich the quality of life in West Tennessee through performances that incorporate a variety of musical styles in a welcoming atmosphere and through a broad spectrum of educational programs for people of all ages. Keep My Hood Good helps teach the principles of accountability, excellence, integrity and respect of self and to others to under privileged youth in our community. MHDS, Inc. is a private, non-profit organization dedicated to supporting adults with Intellectual Disabilities. Their agency strives to advance the quality of life for these individuals and continuously works toward maximizing their level of independence. Operation Hope is a non profit, community serving agency, providing after school learning and all day summer day camp for children in Jackson, Tennessee. RIFA is a Christian nonprofit organization that feeds, clothes and trains people in need by combining life-changing resources from area churches, businesses and individuals to show Christ's love in action every day of the year. The West Tennessee Healthcare Foundation is just that - a steady platform upon which lives are reconstructed. Like a historic home slowly being restored, the Foundation is there to rebuild lives. Whether cancer, addictions, Alzheimer's Disease, or more than 50 other areas of service, the Foundation is there to rebuild lives. ​​​​​Young Life began with a few simple ideas about sharing the truth of God’s love with adolescents. Seven decades later, those simple ideas have become time-tested methods for reaching out to middle school, high school and college students in friendship and hope. Young Life can make a huge difference in the life of a teenager.